Mega is the second prominent website in a week to say it will accept payment in bitcoin, which has been slowly gaining traction mostly with online merchants. Reddit announced last week it will take bitcoin for its "Gold" premium service, which lets users turn off advertisements and use a range of editing tools. The blogging platform WordPress began accepting bitcoin last November. Bitcoin's technical design may appeal to Mega users. In order to spend a bitcoin—which is basically an encrypted number—users don't have to divulge the range of personal details required for an online credit-card transaction. Mega offers 50GB of storage for free, but offers paid packages ranging from 500GB to 2TB ranging from €9.99 (US$13.32) to €29.99 per month. Those prices have been represented in bitcoin on BitVoucher, the website of a new reseller of Mega's service. 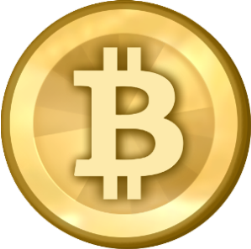 One bitcoin was trading for about $26.80 on February 18, but it is possible to spend fractions of a bitcoin. The cheapest Mega package, at €9.99, was listed as selling for 0.5238 bitcoin for a one-month subscription.